A Five-Day Excursion and Study Program with Z’ev Rosenberg L.Ac. and Sabine Wilms Ph.D. 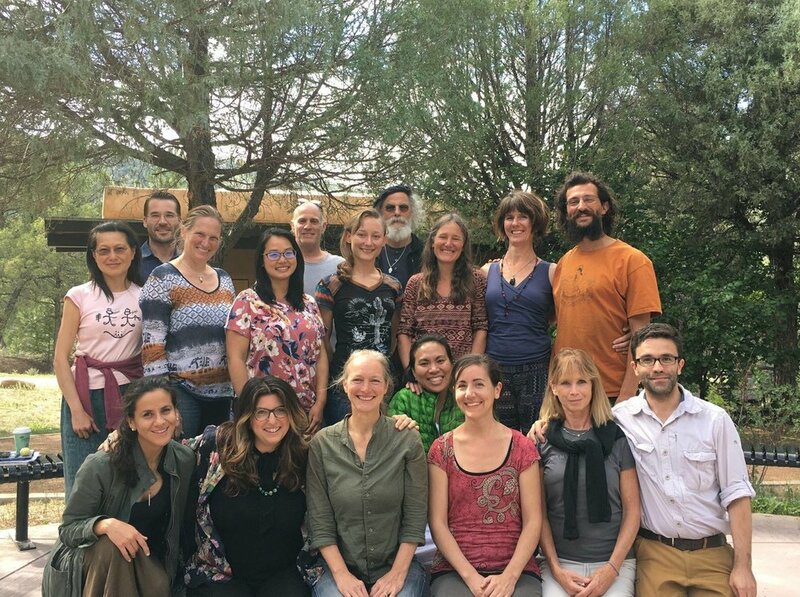 This retreat in the mountains near Taos, New Mexico, will balance field work with study, practicality with classical scholarship. Field excursions will involve identifying and discussing local medicinals and their equivalents in Chinese Materia Medica literature in order to determine potential uses in consonance with mainstream Chinese internal medicine. Lectures will feature discussions on ecological medicine and macrocosmic resonance according to the Yellow Emperor; the medicinal uses of stones and waters; vessel dynamics and the terminology of flow; the identification and use of local and Chinese medicinals in modern clinical practice; and the classical principles and contemporary applications of yǎng shēng 養生 (nurturing life) theories. To register for the retreat, start by filling out this survey. Click HERE for a daily schedule. For more information on Z’ev’s book on the Yellow Emperor’s ecological medicine, see here. Suwen Chapter 5, The “Great Treatise on the Resonant Manifestations of Yin and Yang,” see here. Z’ev Rosenberg, L. Ac., is one of the first generation of practitioners of traditional Chinese medicine in America. Before opening his practice in acupuncture and herbal medicine in 1983, he was a shiatsu therapist and macrobiotic counselor since 1975 in Denver, Colorado and Santa Fe, New Mexico. Z’ev is chair emeritus at Pacific College of Oriental Medicine, where he taught for 23 years, lectures widely around the United States, and has written many articles published in all of the professional English-language journals of Chinese medicine. His first book, “Returning to the Source” has been released by Singing Dragon Books. Sabine Wilms PhD is the author of more than a dozen books on Chinese medicine (sold at her publishing website Happy Goat Productions here), including a translation of the Shénnóng Běncǎo Jīng (Divine Farmer’s Classic of Materia Medica). She specializes in bringing ancient Chinese wisdom from the medical and philosophical classics to life, especially in the context of contemporary medical practice. The mountains around Taos, and especially Talpa Canyon, where our retreat center is located, are in her blood and bones, ever since she ran her goat farm and orchard in Talpa many years ago. Daily morning herbal expeditions: In daily field trips, we will explore local plants in select riparian and forested medium- to high-altitude areas in the high desert mountains around Taos. Note: Participants must be able to hike through woods on steep rough trails at high altitudes! Please contact us if you have physical limitations. Daily afternoon lectures: on Ecological Medicine According to the Yellow Emperor; Therapeutic Use of Waters in Chinese Medicine; Terminology of Movement/Flow and Vessel Dynamics; and Introduction of Chinese Materia Medica / Talk about Ligusticums (Osha, Chuān Xiōng, Dú Huó). Mealtime and evening camp-fire chats to process the information and experiences of the day. A field trip to the magical healing waters of Ojo Caliente hotsprings. An authentic Chinese tea ceremony (or two) in the mountains. A guest appearance by master herbalist Nate Mohler, LAc, MSOM. Shared wholesome meals in the gorgeous facilities of our retreat center. Please notify us of any dietary restrictions during the application process. Vegetarian/vegan options will be provided. If interested and to start the application process, please complete this questionnaire. If you have any other questions, please contact the event coordinator Daniel Schrier at danschrierdom@gmail.com. This retreat is capped at 15 participants so please contact us soon. Last year’s retreat filled up quickly. Date: August 25-29, 2019 (starting at 3 pm on Sunday and ending at 4 pm on Thursday). Location: The gorgeous Pot Creek Canyon campus of Southern Methodist University in Talpa Canyon outside of Taos, New Mexico (link here).